Green onion cakes are very Edmonton. 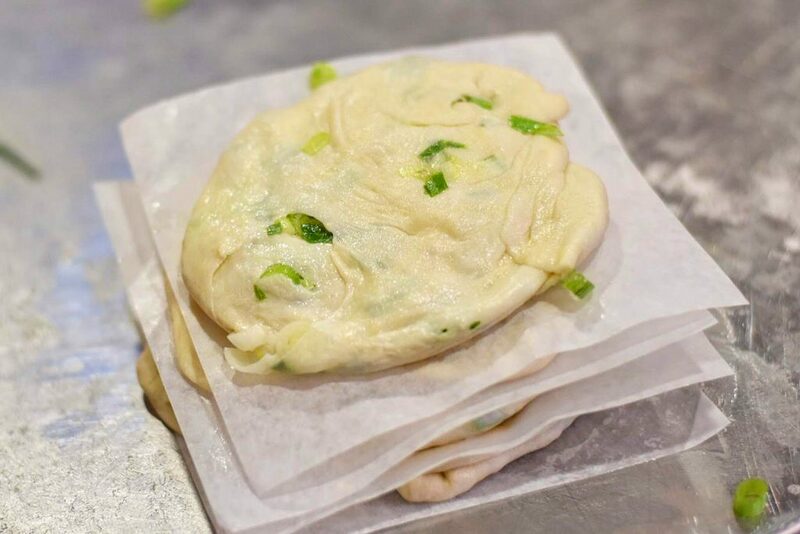 These delicious, Chinese-style pancakes filled with green onions, are a staple in our city, and we owe it all to a man named Siu To. 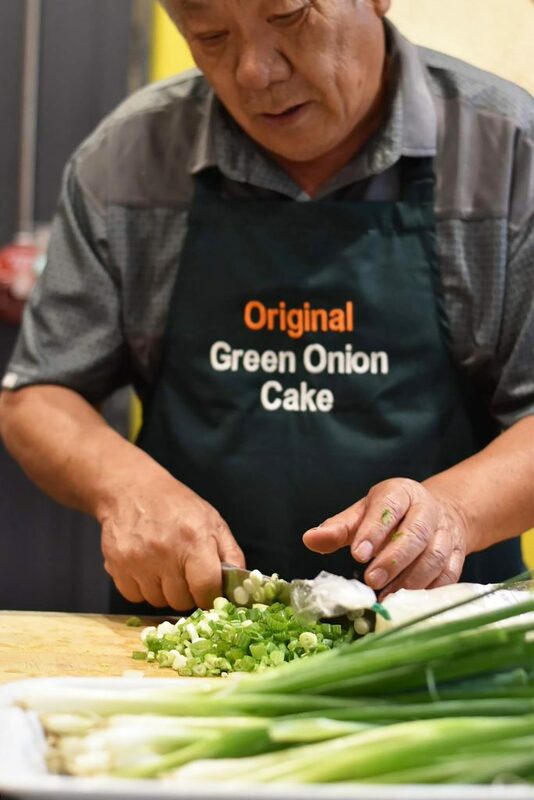 A man who, starting September 2018, you can meet and learn to make green onion cakes with at Get Cooking in downtown Edmonton. Yes!!!! I got to experience the pilot class this summer thanks to Edmonton Tourism, and am thrilled to give away a pair of tickets to an upcoming class. Keep reading for a bit of Edmonton green onion cake history, a recap of the class, and to enter for tickets. Is this the most perfect green onion cake there ever was? Siu To was born and raised in northern China, and loved to cook and entertain at home. He’d often cook for friends, and one of the dishes he made was a green onion cake, a popular dish in the region. There, the green onion cake was larger, sort of like a pizza, Siu To describes. When he moved to Edmonton and opened up his first restaurant in the 1970s, he started serving smaller, personal sized versions of his green onion cake. This was in 1978, around the same time that some of Edmonton’s (now) longest running summer festivals, like Edmonton Heritage Festival, Edmonton Folk Festival, Taste of Edmonton and Edmonton Fringe Festival, were starting/gaining popularity, so green onion cakes, which in addition to being real tasty, are also fairly cheap and easy to make, and quickly became a popular, must-have on the menus for all of these local festivals and soon found at a bunch of local restaurants too! The green onion cakes legend himself, Siu To, making green onion cakes for us in the class! Outside of northern China, green onion cakes are uniquely Edmonton. You drive, even to Calgary for example, and you won’t find a green onion cake, or know what it is (unless you’ve had them in Edmonton!) That’s really just a little bit of Edmonton’s green onion cakes history. 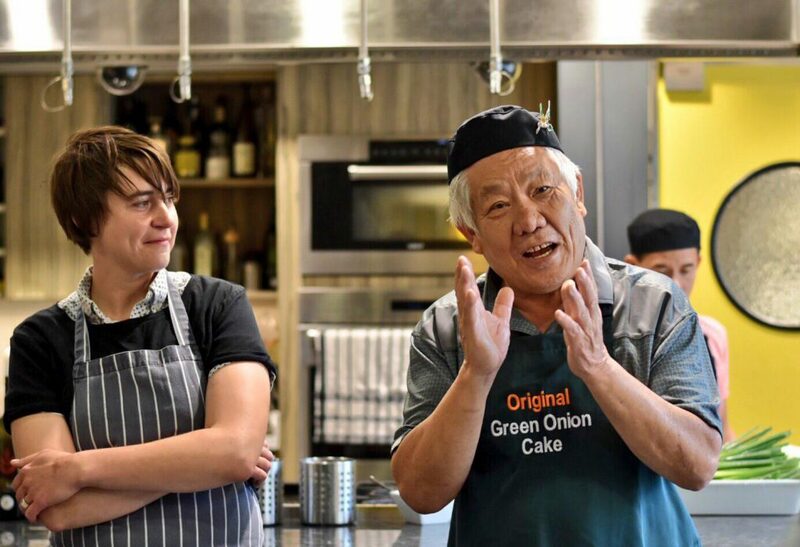 You can learn more in this Avenue Edmonton article, or this CBC Edmonton article, or you can hear it direct from Siu To himself, in person, at his Green Onion Cake cooking class! Okay so that’s not what the class is called, but it’s a pretty good title right? Edmonton Tourism, Get Cooking and Siu To teamed up to create this wonderful little class which is literally as perfect for tourists coming to our cities, as it is for locals who want to learn more about one of Edmonton’s most favourite foods. This is a hands-on workshop, where you make your own homemade green onion cakes using Siu To’s recipe. He’ll also cook up his cakes for you to try while you’re there, and you’ll go home with the recipe! A generous portion of green onions in my green onion cake (lol they may portion size a bit more in subsequent classes). The inaugural classes run Sept 10, Sept. 21 and Oct. 1, 2018. There are both lunch and dinner class start times. Green onion cakes are low cost, and simple to make. 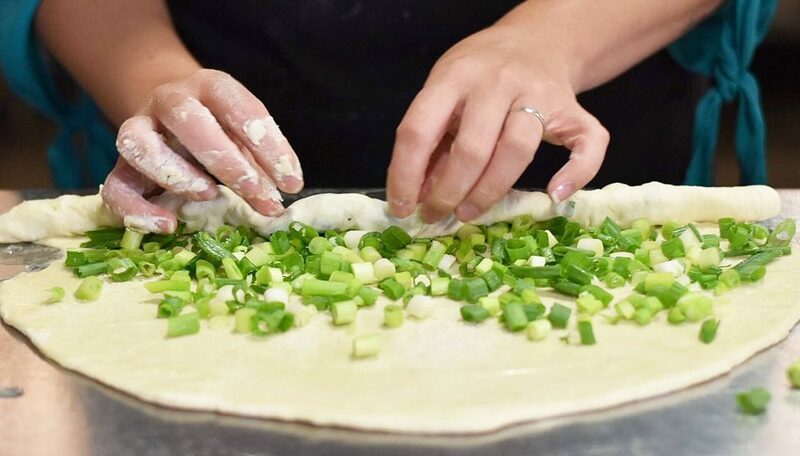 There’s just a few ingredients (at least, in Siu To’s recipe): flour, shortening, sesame oil, canola oil, baking powder, and of course—green onions! Now, what you have to know is that not all green onion cakes are the same—in shape and flavour. 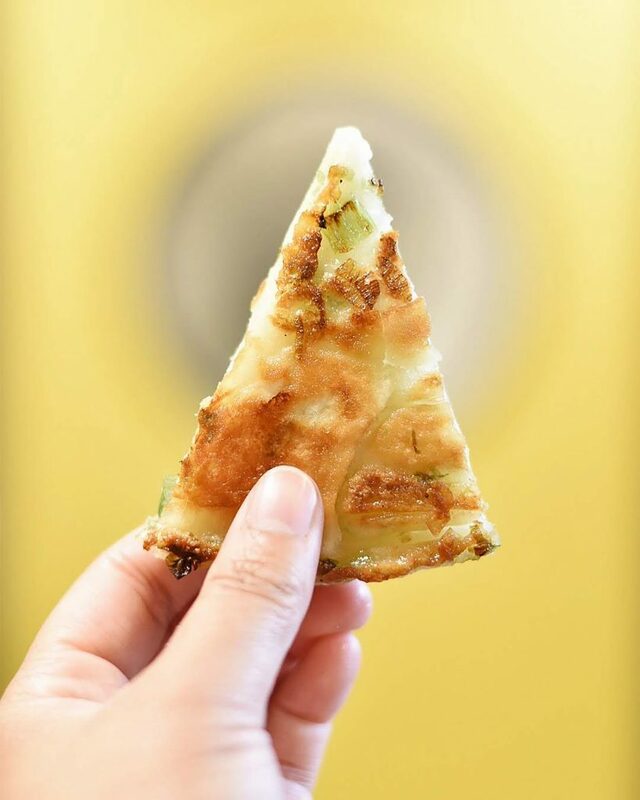 Since Siu To’s blessed Edmontonians in 1978, there have been many variations of green onion cakes. Lots of Vietnamese restaurants do a poofier but still delicious version. There are more denser versions you might find in markets or at festivals (I’ve been disappointed in past). But Siu To’s is seriously, the best. Such an honour to meet Siu To! This class is quick, fun and delicious. Siu To is a really funny man. I am so glad I got to meet him!! He’s a great storyteller and instructor! He’ll come around and help guide you through your green onion cake makin’. These days, Siu To isn’t running restaurants anymore. Instead, he’s selling his green onion cakes at local markets. Sometimes he might sell up to 3,000 in a single weekend! Edmontonians love their green onion cakes. If you’re from the area, and are a fan of local food, food history, and green onion cakes, then this cooking class is for you! If you’re travelling to Edmonton and are a fan of food, food history, and love eating foods unique to the region, you’ve got to incorporate this cooking class into your itinerary! Visit Get Cooking’s website to see upcoming class schedules! And look for Siu To at the markets (St. Albert Farmer’s Market for sure, and I believe a few others in Edmonton)!! You’ll learn how to make them but you’ll probably keep picking up Siu To’s at the markets! To celebrate the launch of Siu To’s Green Onion Cake Cooking Classes, enter my giveaway to win a pair of tickets to the class! Leave a comment on this blog post, telling me your experience with green onion cakes! Are they a typical order at a restaurant? A festival favourite? Do you make them at at home already? Please note: the tickets are for the Sept. 21 lunch-hour class ONLY! You must be available to attend the class between 12-1 p.m. on Sept. 21. I will select contact the winner by Sept. 10. Also, if you are leaving a blog post, note that comments are moderated—so your comment may not appear right away! 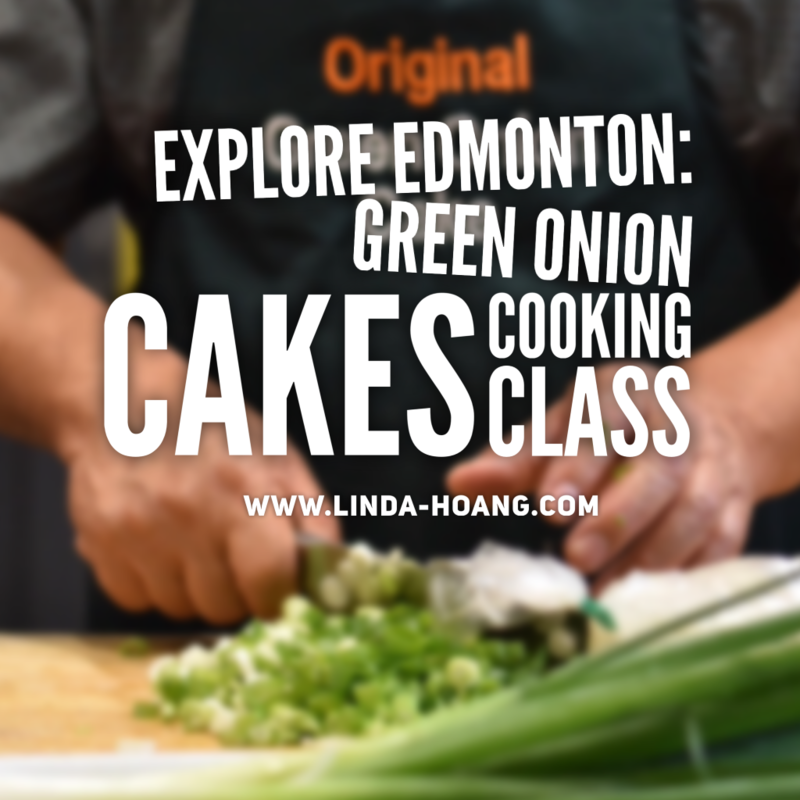 Pin + Share my Blog Post about Green Onion Cake Cooking Classes in Edmonton! Disclaimer: I was invited by Edmonton Tourism to pilot the Green Onion Cakes cooking class with Siu To. The class was complimentary. Get Cooking and Edmonton Tourism also provided me a pair of passes to the class to giveaway for this blog post. This has no impact on opinions stated in this post. I think Siu To is a wonderful, funny and talented man and his green onion cakes recipe is delicious. i’m always on the lookout for the green onion cake stand at festivals around the city! my roomies and i have tried making them at home a couple of times, but winning these workshop tickets would really allow us to hone our skill. I love green onion cakes. If one is on the menu, I need to try it to checkout the cake and the dip. Am very curious about this class-since Kathryn usually serves wine with the class so what wine goes with green onion cakes? I would really appreciate winning this class – I am a fan of Kathryn&Doreen and I have the day booked off already, (coincidence), so I AM AVAILABLE! 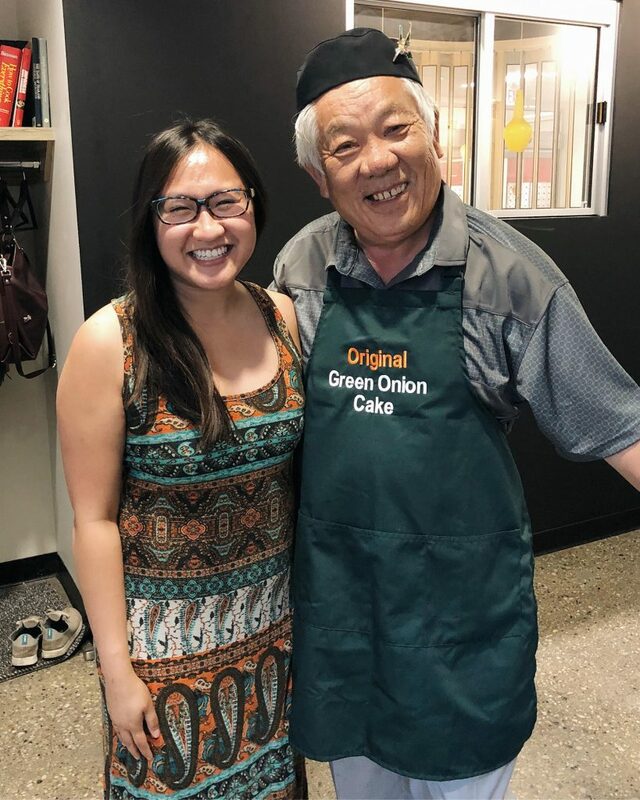 It would be a blast to learn GreenOnionCaking from the master, Siu To. I know my other half would love to make fresh ones! He certainly loves eating them! I’ve been eating green onion cakes for as long as I’ve had teeth! They’ve always been a staple for my family at Taste of Edmonton! An advocate for being independent and self-sufficient – characteristics we try to instill in our teenage son, Evan. We are older parents and we try to provide all the skills/knowledge to lay the path to be able to sustain oneself in these busy times. We had tried to book food prep lessons at T&T Supermarket – Northtown – every Wed night, but they no longer offer the same. This would be an experience my son would cherish, learn from and would be extremely grateful to meet Siu To and reproduce same quality and delicious green onion cakes. Mmmmm Green Onion Cakes! My first tastes was at Taste of Edmonton many years ago. Whilst I love the Vietnamese version the “original” is still my favorite! I’m looking forward to the class! As an Edmontonian, I’d have green onion cakes at festivals and buy them from the asian grocery stores. Little did I know that Edmontonians were uniquely blessed for these delicious disks. They’re a staple at my parties. Love making green onion cakes at home! I love eating green onion cakes!! 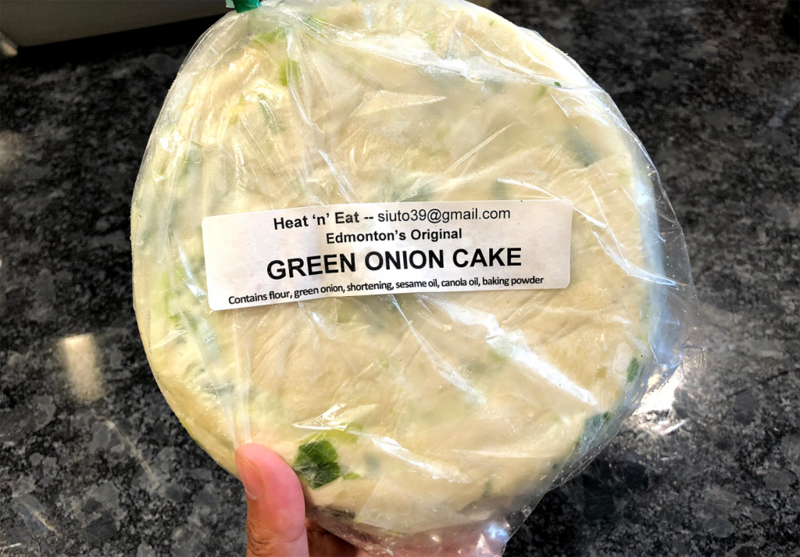 I love going to the St. Albert farmers market on Saturdays to walk around around and I always pick up some green onion cakes from Sui To’s Booth, I will usually snag a crispy hot sample of his onion cakes before I go. Always so tasty and delicious! if green onion cakes are on the menu, they are always ordered…11 year old son has loved them since he could chew! Would love to know how to make them at home. Take my momand we can ma ke ’em together! I love the fact green onion cakes are #yeg to the core. I eat them at festivals, I order them at restaurants, and I even have a girl I order them from off of kijiji! I love green onion cakes! I always have a package from T&T in the freezer. I would love to learn how to make it on my own! It’s definitely my go-to craving snack i love putting some haberno hot sauce on it and then frying it in the skillet. So yummy! I teach Junior High Foods classes and green onion cakes are always on my list of must makes. We get to discuss their origin, simplicity and versitility. They also fit well in my budget and work with the many different diets of my students. We love them! Hi Justed tweeted re: your awesome website and became a follower on Instagram and Twitter. (MarionG.) Sorry but with all the controversy on Facebook, gave it up. Have ordered Green Onion Cakes in restaurants but the festival ones I have always enjoyed the most. Keep up the hard work of the blog…great job by the way. Would love to learn to cook this great dish, mostly for myself but also due to my Chinese Canadian(still to be broken in) husband. Nice to hear what’s on about town from you. I’m a no TV, no newspaper kinda gal, so the blogs and radio are what I’m all about. Thanks for the opportunity.